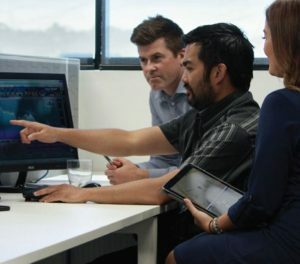 At Comdain, we leverage our best practice systems and offer complete and integrated technology solutions to leading utility authorities across Australia. We have made a strategic investment to further extend our capabilities and offerings through the development of our innovative digital platform and SmartHub suite of applications. These digital solutions draw on international best practice to help utility authorities improve efficiencies by bringing together disparate systems in one place and allowing for the real-time sharing of data. We understand the value of a professional digital structure, so our in-house team of IT specialists work in partnership with our clients to tailor our technology to meet their needs. With a commitment to challenge convention and drive innovation, we have developed enviable in-house technology that offers seamless integration and data collection for the utility industry with meaningful, transparent reporting. With an intimate knowledge of the end-to-end processes in the utility industry – from the field to the boardroom – we have designed our systems so they can be tailored to the specific needs of our clients, engaging different functionality depending on the project and requirements of each. Our ability to build these bespoke solutions that integrate data in real-time with each client’s existing systems has been praised for its usability and functionality. Our revolutionary SmartHub suite of applications has been purpose built to specifically manage utility service delivery programs. With the proven capability of managing over 100,000 work orders annually, SmartHub is a unique data collection tool, bringing together asset management, field mobility, safety processes and financial systems in real-time to maximise productivity and minimise administration. Comprising of a number of highly functional apps, SmartHub is coded in-house to suit each individual client requirement and integrate seamlessly with their existing systems via our digital platform. Clients can utilise one or more of the apps, with the full suite providing a complete solution across their entire workflow. Giving our clients and teams insight to make better decisions. Data can play an important role in improving efficiencies when managing assets and work, but data needs to be presented in a meaningful and timely way if it is to assist decision-making. We provide functional reporting, presenting business intelligence (BI) that informs our teams and our clients in a way that is most useful and actionable for them. These small but important insights help build the picture of each job and identify trends so we know the exact project time, costs, materials used, crew required and any problems encountered. The system allows for complete transparency with real-time reporting for management and client.